In my work I often need to collect files from different sources or from slow sources to a fast RAID on my DaVinci Resolve machine before I start color grading. Another reason to collect my sources is when I am done with my project and I want to make a backup of just the files in my Media Pool or maybe even a certain Timeline. This is why I wrote Resolve Collect. 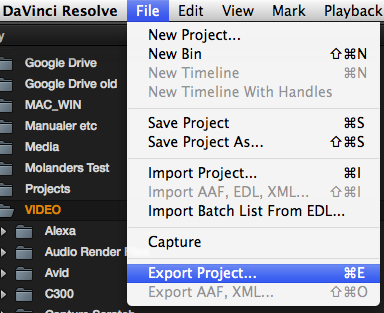 Resolve can find just the files it needs to conform an EDL. So what you need is a CMX3600 EDL and select the root directory where all your source material is located. Be sure your Conform settings are correct so you get the files you want. Right Click and select “Add Folder and SubFolders Based on EDLs into Media Pool”. Select the EDL and if everything works you should see the clips you need in the Media Pool. To be sure that you have the correct files in you Media Pool you can do a conform with the same EDL and check the timeline. Go to the Conform Screen and Right Click in the Timelines Window (upper right). Select “Import > AAF / EDL / XML …” and select your XML or AAF. Check the timeline to see if all the correct files where chosen. Conform your project as usual and do your color grading. Once you are finished create a DRP-file. Now that you have all the files you want to copy in our Media Pool it’s time for the next step. Select a destination for the file and give it a name. Now it’s time to start Resolve Collect. You can download it here. 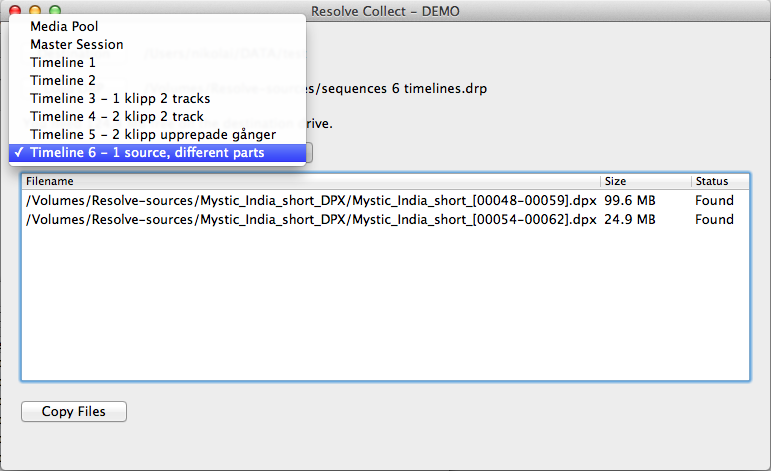 Resolve Collect must run on the same machine as you created the DRP-file since all the file-paths need to be the same. Select the Destination where you want your files to be copied. 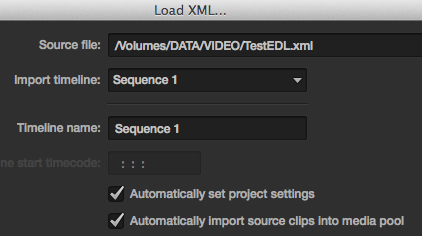 Load the DRP file you exported from DaVinci Resolve. The DRP file gets processed and you will see a list of files that are in the Media Pool. Now select what you want to Collect, either the Media Pool, Master Session or any Timeline. Resolve Collect will tell you how much space is needed on the destination drive. Press the “Copy Files” button and select your sources. The default is set to /Volumes/ which includes all drives, so just press “OK” when it appears. Now the program will start copying the files. In the preferences pane there are a few options which you can turn on or off, depending on your needs. 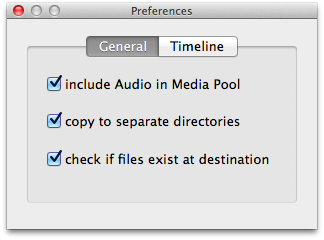 This lets you select if you want to include the Audio-only files in the Media Pool. This copies the files to a separate Video, Audio, Matte and Offline directory instead of everything in the same root. This way it’s easier to find your Audio, Matte and Offline files. This looks at the destination drive and if the file exists it will set the status to “Already Copied” and the amount to copy will tell the real amount it needs to copy. This includes the Offline (Reference) video clip for the selected timeline. This includes the Chase Audio Clip for the selected timeline. 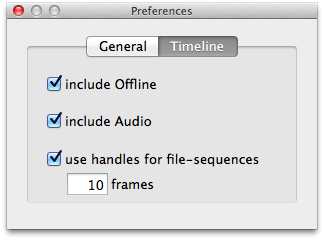 This lets you add handles (if there are any, or as many frames it can find) to file sequences in the timeline. 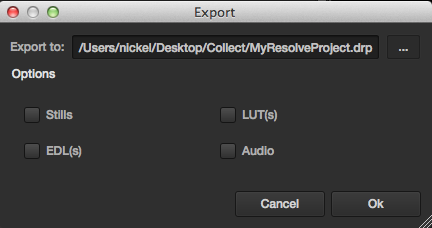 Once the files are copied you can either start a new project in DaVinci Resolve or use the one you are using. This step is a must especially when you are creating a backup. Remove all your source files from the Media Pool and import the new sources created by Resolve Collect. All your timelines will automatically reconnect to the media. 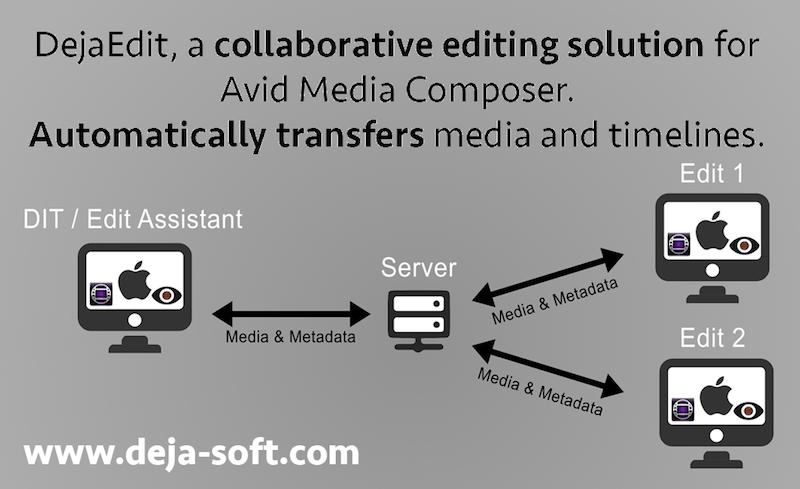 Add the new sources created by Resolve Collect to the Media Pool and conform your timeline again. If everything reconnects your backup is complete. ‹ Generations, a problem or not? 3 Pings/Trackbacks for "Collect source files with Resolve Collect"